Like the town I live in, I find that modern life in general is moving way too fast. I’m a family man and an outdoorsman. I love my pets, biking, kayaking, camping, fishing, and traveling. I rejoice in this lifestyle that brings my wife, mother nature, and I closer together. 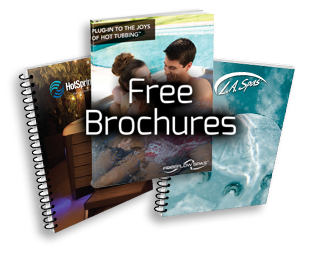 My journey in the spa & pool industry began back in December of 1999, selling and repairing locally made spas. We’ve made it our mission to select & sell only quality products, while offering the best spa and pool services. From the original date of your purchase, to installation, and on through the years you own your spa, we’ll strive to exceed your expectations and to forge a long lasting relationship with you. When I’m asked what I’m all about, my family is my immediate answer. My kids and employees say I’m tough, but fair – I’d have to agree. Since coming down from New England in the ’80s and making a life here in Summerfield, I’ve watched the area grow leaps and bounds. Working up from very little and developing into the stable, thriving business we have today has been fun, but at times challenging. We constantly push the envelope with new, innovative, and exciting pool and spa projects. Making sure the wheels are turning on the axles of our well oiled machine leaves me with limited time to enjoy hobbies – having four children didn’t leave me with much spare time over the years either! Long rides on my Harley with my wife, stopping in unexpectedly to visit my grand kids, or exploring nearby quaint towns are our ideas of great adventures! I make it my place in the company to oversee the fine job that our employees do for us, making sure customers get the high quality products and services they deserve and that my son and I pride ourselves on delivering.